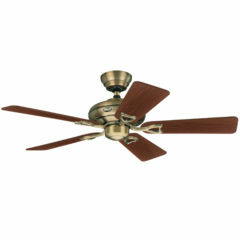 Hunter Seville II Ceiling Fan - New Bronze 44"
The Hunter Seville brings together a traditional style with modern finishes making it a neat and stylish ceiling fan. 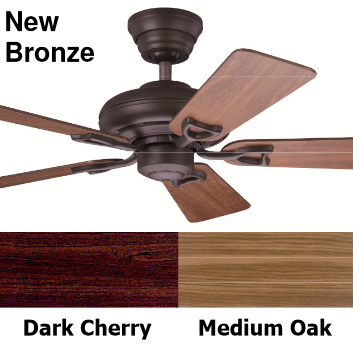 The Seville ceiling fan is fit for all seasons and has a switch blade design so you can choose which blade finish you prefer to fit with your room decor. 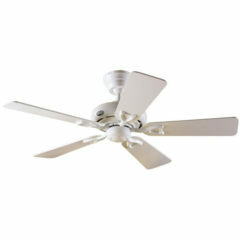 With a 44″ blade span, the Seville II is a good choice for small rooms and bedrooms. 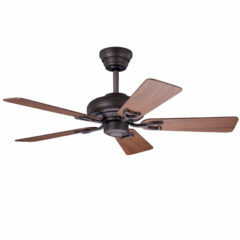 The Hunter Seville II ceiling fan is a compact, elegant model which will be perfect for traditional areas that need a small fan. 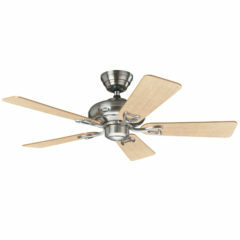 For a similar style in a larger size, see the Hunter Savoy ceiling fan. These two models can be combined in one building where two sizes are required to achieve a continuation of the same style. This particular model of the Seville II has a new bronze motor and reversible blades. Choose between dark cherry or medium oak wood. 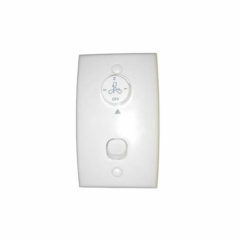 This fan comes standard with pull cord and is light adaptable. 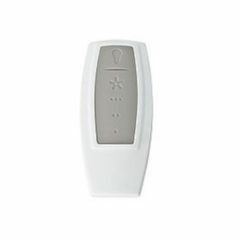 See below for accessories and alternative listings for wall control and remote control packages. It features Hunter’s patented AirMax™ motor with internal impellers, a WobbleFree™ canopy with Anti Vibration Technology and triangular hanger ball system giving it the ability to self-balance, eliminate wobble and perform smoothly. A 63W motor with heavy gauge copper windings, laminations, precision sealed bearings, and multiple cooling fins, all in a die cast aluminium housing ensure the fans durability. The measurement of the Seville from the ceiling to base of the fan is approximately 330mm. 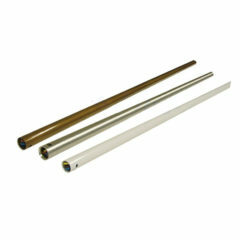 The light kit adds roughly another 170mm to the complete drop of the fan.